Chapter Elder, Brother Lionel C. Barrow, Jr. The chapter elder, Dr. Lionel C. Barrow, Jr., was honored last August (8/98) when the Communications Theory and Methodology (CT&M) Division of the Association for Education in Journalism and Mass Communications (AEJMC) named its minority scholarship the "Lionel C. Barrow, Jr. Minority Scholarship". AEJMC is the international organization of teachers of journalism and mass communications. The scholarship was first authorized in 1969 when Dr. Barrow was the head of the CT&M division. At that time Dr. Barrow, the guiding spirit behind the AEJMC effort to diversify media and the schools and colleges of journalism and mass communications, was also the founder and first head of the AEJMC Minorities and Communication Division. The former dean of the School of Communications at Howard University is presently retired and doing research for a book on Freedom's Journal, the first newspaper published in the United States by African-Americans. 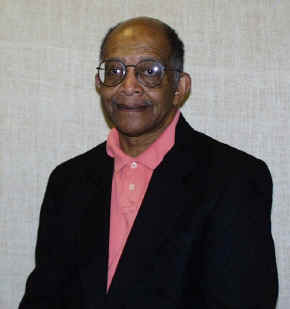 He joined Alpha in the Spring of 1944 at Morehouse College (Alpha Rho Chapter).